In the second round of Presidential elections, the current President Dilma Rousseff of the PT won against the PSDB candidate Aécio Neves by a small margin. Dilma received 51.64% of valid votes, and Aécio 46.36%. The difference was only 4.46 million out of 142.8 million voters. 27.4% of the total electorate either abstained (despite voting being mandatory in Brazil) or spoiled their vote. This was the closest Presidential contest since the end of the military regime and the return of direct elections in 1989. Since the first victory of Lula in 2002, the PT had won relatively easily. This time, the narrow margin reflected the decline of the party after 12 consecutive years in power and the end of the political, economic and social conditions which brought a certain stability to the Lula and Dilma governments. To avoid defeat, the PT concentrated on the fear of a return to the days when PSDB President Fernando Henrique Cardoso governed the country with a hard neo-liberal policy. As it has done in previous elections, the PT had to appeal to its past left credentials and supposed concern for the poorest, in order to polarise the contest and rally its voters. In the second round, the polarisation reached a maximum, even though the programmatic differences between the PT and PSDB are much less than it seems. As always, the PT’s left makeup only lasted a few weeks during the campaign. A few days after the elections, the party again showed its real face, calling for national reconciliation on the basis of policies in favour of big capital. However, this fourth mandate of the PT will be much more unstable and turbulent than its previous ones. 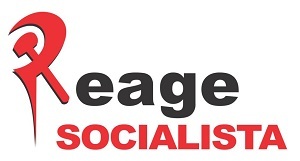 The unique ability of this party to put a brake on the radicalisation of the social struggles and put in place a “social pact” has now changed. The mass demonstrations of June 2013 and the strikes and mobilisations of workers which followed, marked the beginning of a new more unstable and conflictive stage. 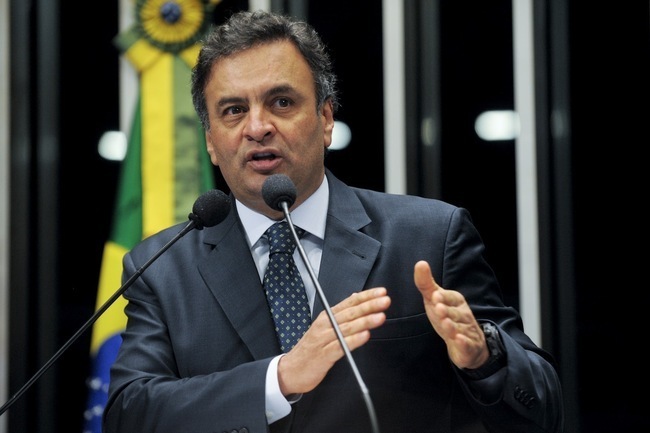 Aécio Neves managed to get to the second round against Dilma by overtaking Marina Silva (who stood with her party, the PSB) who emerged as a “third way” between the traditional PT-PDSB polarisation. 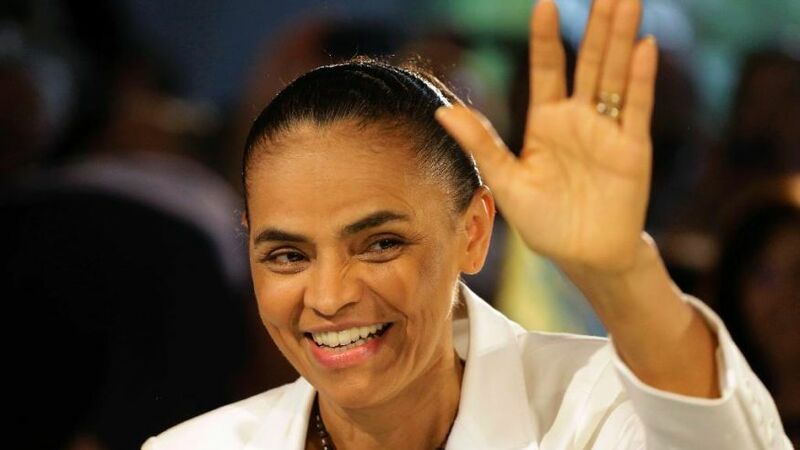 Despite featuring in opinion polls in second place, with a possibility of defeating Dilma in the second round, Marina’s campaign was worn down during the campaign, due to the weakness of her alternative project. In the first rounds Aecio represented a radical anti-PT position, concentrating on government corruption scandals, while Marina appeared more conciliatory, saying she wanted to unify the good aspects of both the PT and the PSDB. This did not save her from strong attacks from both sides. The zig-zags during her campaign around key issues of programme (including anti-homophobia legislation, women’s rights etc.) and her more and more explicit connection with neoliberal economic policies (the defence of the formal autonomy of the central bank for example) exposed her to critics. Thinking that she already had consolidated the support of more progressive votes because of her left-wing past and defence of the environment, she tried to then consolidate the support of big capital and agro-business. At the end of the day, she alienated both sides and came out of the campaign seriously damaged. She got 22 million (21.3%) votes in the first round on 5 October, little more than she received in 2010. In the second round, Marina supported Aecio, which exposed even further her conservative right-wing politics, hidden behind a “progressive” facade. The failure of Marina Silva shows the limits for any capitalist “third way” between the PT-PSDB polarisation. Without distinguishing herself clearly from both parties the “new politics” of Marina, became seen as just more of the same. Turn to the right in society? The growth of Aécio at the end of the campaign was based on being seen as the only alternative capable of beating the PT. This process unleashed some of Brazil’s most reactionary forces with all their prejudices, conservatism, authoritarianism and old anti-left rhetoric. However, the social base of the PSDB in the more reactionary middle classes of the South and South West of the country would not be enough for Aecio to get the vote he did. The PSDB campaign, especially in the second round, also became a focal point for the latent discontent in society. Only this could explain how the PSDB ended up with a majority of votes in parts of the periphery of Sao Paolo and other big cities in the South and South East of the country which traditionally voted for the PT in large numbers. The electoral process did not mark a shift to the right in society as some have analysed, but it did mark the growing dissatisfaction with the PT which ended up being channelled through a false alternative. This dissatisfaction is not against “left policies” by the PT, but on the contrary, the lack of them. The vote for Aecio was not necessarily a conscious vote for hard neo-liberal policies – which the PSDB tried to distance itself from throughout the campaign against the PT’s accusations. 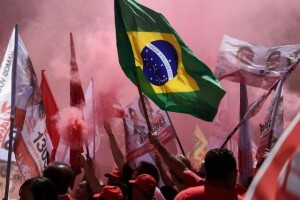 Brazilian bourgeois analysts have shown worry at the fact that none of the candidates, including Aecio, called for harsh neo-liberal policies, which they see as necessary to balance the fiscal situation and satisfy the financial markets: cuts and austerity, price hikes, interest rate hikes, anti-worker reforms, privatisations etc. The electoral process showed – in a distorted way – a growing social and polarisation following the mass mobilisations in June 2013. Some of the MPs who won most votes are from left parties, such as PSOL (Party of Socialism and Liberty). This party had the most voted state MP (Marcelo Freixo, with 350,000 votes) and some of the most voted national MPs, in Rio de Janeiro state, for example. Luciana Genro, PSOL’s presidential candidate mounted a clearly left campaign and doubled the party’s vote in relation to 2010, finishing in fourth place, behind only Marina Silva. She won 1.6 million votes (1.55%) clearly beating the more hard right candidates, including Christian fundamentalists, with a strong social base. This result could have been even more impressive if a Left Front between PSOL, PSTU, and PCB was formed. PSOL went from 3 to 5 national MPs and now has 12 state MPs. In two states, PSOL got very impressive votes for governors’ elections, which show the space that exists on the left. In Rio de Janeiro, Tarcisio Motta won 8.92% and in Rio Grande do Norte, Roberi Paulino, a member of LSR (CWI in Brazil) won 8.74%. In both states, PSOL won an important part of the traditional PT base. At the same time, on the other extreme of the spectrum, some candidates of the far right got impressive votes. An ex-soldier (Jair Bolsonaro), an open defender of the dictatorship was the most voted national MP in Rio de Janeiro with 464,000 votes. Similarly, in Rio Grande do Sul, a big landlord (Luis Carlos Heinze) with an angry violent discourse against the landless, indigenous and gays, won 162,000 votes, finishing in first place. This polarisation points to a tendency for the future. However, it should not be interpreted as a simple shift to the right. Despite Dilma’s victory, the PT was weakened in many states. In Sao Paolo, the PT candidate for governor finished in third place and the party lost many of its MPs. In Rio de Janeiro also, the PT candidate finished in fourth place, with only 1% more than the PSOL candidate. The PT fell from 88 national MPs in 2010 to 70 in 2014. The PCdoB, faithful ally of the PT also fell from 15 to 10 MPs. The PT’s parliamentary majority now depends on the traditional centre-right PMDB party of the Vice President, Michel Temer, which is allied nationally with the PT but also suffers from internal divisions and does not always vote with the government. PSB, for whom Marina Silva stood, maintained its number of MPs (34). However, Marina’s own group (Rede Sustenabilidade) which still has to be legalised as an independent party, won only one MP. In the Senate, the government also lost positinos, but still maintains an unstable majority, which depends on the whims of the PMDB and negotiations over the allocation of positions. The loss of votes for the PT, despite Dilma’s narrow victory, adds to the instability of the government, and has led to it adopting a more conciliatory tone with the opposition parties. In Dilma’s victory speech, she pointed to the need for national reconciliation. She has given signals to the effect that she will meet the demands of the financial sector, appointing a new Interior Minister, who comes directly from the banks. The first major decision following the election was the increase of Central Bank interest rates from 11 to 11.24%, which surprised even the financial markets. New pro-market measures will be announced during November. 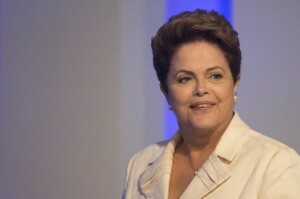 To try and satisfy those who are dissatisfied with the political system, Dilma has also announced that she will make proposals for political reform which will be put to a plebescite. During the protests in June 2013, Dilma made the same promise, even defending the need for a Constituent Assembly. This proposal lasted for no more than 24 hours, and was withdrawn following the refusal of the government’s parliamentary allies. This time, the day after her declaration in favour of a plebescite, Dilma changed her position, arguing for a referendum on legislation which is already being dealt with in congress. There cannot be genuine progressive political reform without an end to the financing of election campaigns by the banks and big companies, the right of recall from below, a reduction of MPs’ salaries and the abolition of the senate, as well as the setting up of mechanisms of people power, with workers’ councils to discuss and deliberate. This would mean breaking with the current political system and the politicians who have held power for decades. The Dilma government is fully committed to this system and has no intention to radically transform it. A mass movement can only achieve these changes by defeating the congress and Dilma’s PT executive. One of the central tasks during the second term of Dilma will be moving forward in the building of a left opposition to the government based on the social movements, strikes, occupations and the resistance against new attacks which will come. Without a strong left opposition, the dissatisfaction will be channelled through right-wing alternatives, such as the PSDB, or some alliance between Marina Silva and sectors of the traditional right. Sections of the PT will place all their hopes in the return of Lula as a candidate in 2018. Many within the PT wanted Lula to stand in this election, to avoid the risk of defeat, which nearly happened. Even Lula himself admitted that this was a possibility but then withdrew. Lula admits openly the possibility of him standing in 2018. Despite Lula’s image, which is still partially preserved, there is no guarantee that the PT would win in 2018. Lula, who will be 73 years old by then, would not guarantee victory. The crisis of the PT after four more years of crisis attacks and instability, will be even worse than today. 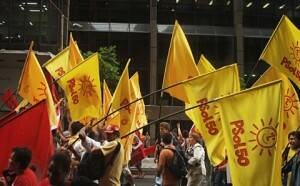 PSOL came out of the elections strengthened, ready to play a protagonist role in the building of a left opposition. Luciana Genro’s left-wing campaign, along with many other PSOL candidates, served to link the party with the main demands and banners of the mass movement of 2013. Demands such as: free transport, the right to social housing and the fight against property speculation, investment of 10% of GDP in public education, investment in health, defence of women’s rights, LGBT rights etc. PSOL also raised the demand for the taxation of the fortunes of the rich and the suspension and public audit of the public debt to the big speculators. It demanded the nationalisation and public control of oil and natural resources and even calls clearly and openly for democratic socialism, in the face of the old anti-communist rhetoric of the conservative right. However, there PSOL still comes up against limits and contradictions, which were revealed in the second round. Some of its leading figures enthusiastically campaigned for Dilma against Aecio which very little criticism, in this way helping the PT to rebuild its “left” image. The PSOL national executive passed a motion which allowed for a blank vote, as well as for a critical vote for Dilma. However, it did not allow its members to campaign explicitly for Dilma. This ended up happening anyway. Many of those on the right of the party seemed to be more enthused with Dilma’s campaign in the second round than with Luciana Genro’s in the first round. Even some figures of the left of the party defended this position. The biggest threat to the party, which hung over it at its 3rd congress in December 2013, is the line of the right wing, which would transform PSOL into merely an external left wing of the PT, rather than a consistent opposition to the PT. This line was defeated with the selection of Luciana Genro as candidate, following the stepping down of Randolfe Rodrigues (from the party’s right wing). This defeat of the right wing was then overturned under the pressure of the elections’ second round. The position of LSR (CWI in Brazil) in the second round was to emphasise that the only guarantee against the attacks that will come in the next period, whichever candidate wins, is to organise the struggle of the working class in the streets, neighbourhoods, factories, universities and countryside. This guarantee cannot be achieved by voting in the second round, in which none of the candidates represented the workers’ interests. We explained that we could understand what brought workers to vote for Dilma to defeat Aecio, but we explained that this would not solve the problem and that illusions in Dilma would only facilitate the attacks which would come afterwards. We stood for a spoiled vote, but the most important thing is the “third round”, which will take place in the class struggle. 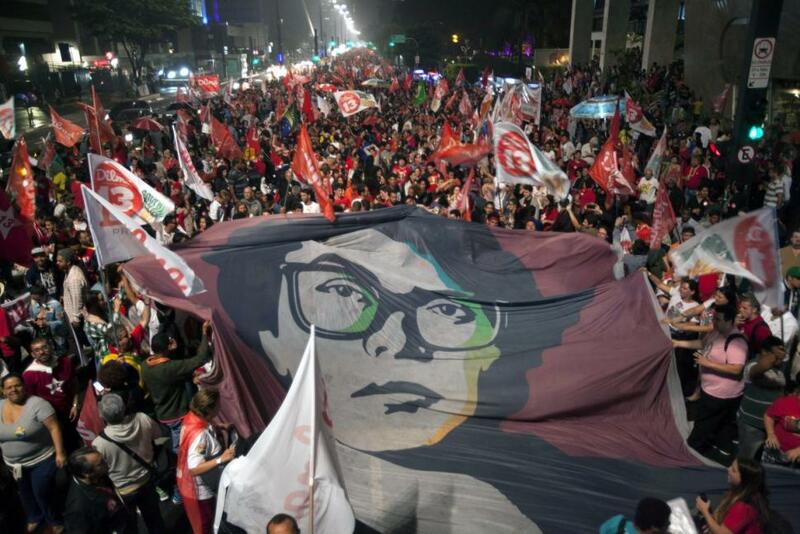 The struggle against voting for the “lesser evil” is a fundamental part of the rebuilding of a mass left alternative in Brazil, and is the big challenge for PSOL. However, the party did not fully pass the test of the second round and there is still much confusion about the tasks which are posed for the next period of Dilma’s government. Illusions in the idea that Dilma will move to the left in her second term cannot last long, in the face of the concrete facts. However, the threat of the conservative right wing, now strengthened, will always be used as an argument against a firm left opposition. If PSOL is unable to overcome these pressures, this will open the way for the right wing to occupy the space opened up by dissatisfaction with the PT. 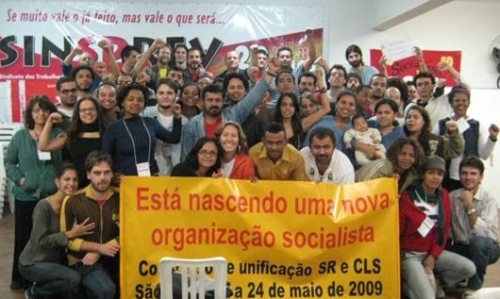 LSR played an important role in the two states where PSOL achieved important victories. In Rio Grande do Norte, despite the lack of resources PSOL’s candidate for governor, LSR member Roberio Paulino won 8.74% of the votes. In the state capital, Natal, he won an incredible 22.45% and stands a good chance in the 2016 municipal elections. Roberio, and with him PSOL and LRS, managed to partially occupy the big space left open by the PT’s shift to the right. The PT in Rio Grande do Norte state decided to support a right-wing candidate who won the election. Roberio’s campaign managed to win over an important part of their voters. In the same state the PSTU (section of the “LIT” international) took a sectarian decision not to form a Left Front, and learned a tough lesson, winning less than 1% of the vote. In Rio de Janeiro state, the most important for PSOL nationally, LSR actively supported the campaigns of Paolo Eduardo Gomes for national MP and Renatinho for state MP. They are both the most voted councillors in the city of Niteroi. Paolo Eduardo won an incredible 23,400 votes finishing in 5th place, with PSOL electing 3 MPs. Renatinho won 8,500 votes finishing in 8th place, with PSOL electing 5 state MPs. The results for both could have been even better if the authorities had not used Niteroi city as a testing ground for a new system of biometric identification of voters. Technical problems with this caused tens of thousands of voters not to register votes. However, the votes for both candidates were very strong and positions the party well for the 2016 municipal elections. LSR members waged an intense campaign in Rio de Janeiro and the potential for the building of our organisation as a result of this is very big. Paulo Eduardo Gomes, together with his group within PSOL (Reage Socialista), reaffirmed their commitment to the work of the CWI and joint work with LSR in Brazil. LSR also stood candidates in Sao Paolo, Parana, Sergipe and Minas Gerais states, opening up important opportunities to build the organization. One of the central issued which LSR defends in the current period is the need for unity in struggle of the most combative sectors of the trade union and social movements in the face of the coming attacks. We call for a national conference of the movements in struggle, to build a platform of different struggles to engage in joint actions. One of the central struggles will be over the issue of the worst water crisis in the history of Sao Paolo state, a result of the irresponsible neo-liberal policies of the PSDB government of Alckmin. Our trade union work in the main water company in the state gives us an important base to engage in this struggle together with other sectors. The PSDB won the state elections in the first round, but this hides the depth of this crisis. The explosive potential in the situation could inflict an important defeat on the right-wing state government despite the election result.